One of my favorite herbs to grow in the garden is Thyme. 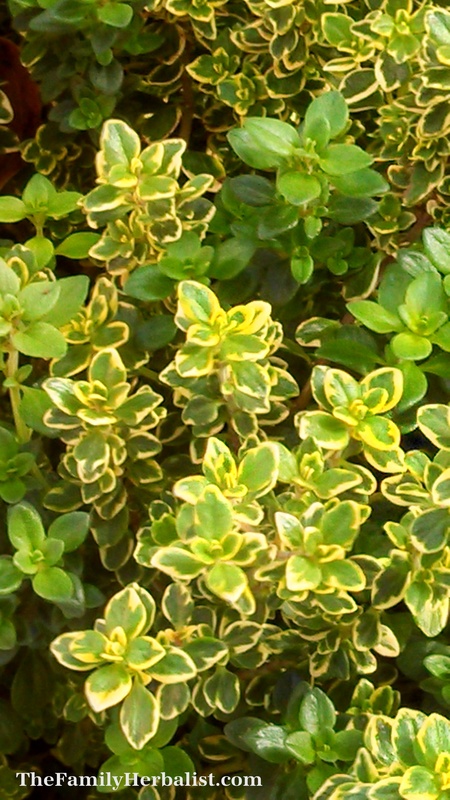 Thyme is a beautiful perennial herb that adds a lot of beauty to the garden, is very aromatic and extremely versatile. The common Garden Thyme is not an herb to underestimate; it is a powerful healing plant. Thyme is a very Aromatic herb which is Pungent/Spicy in taste. By just brushing your hand across the top of the herb you get a whiff of the distinct aroma right away. One of my passions has always been cooking. As an herbalist I love looking for creative ways to get herbs into each and every meal. 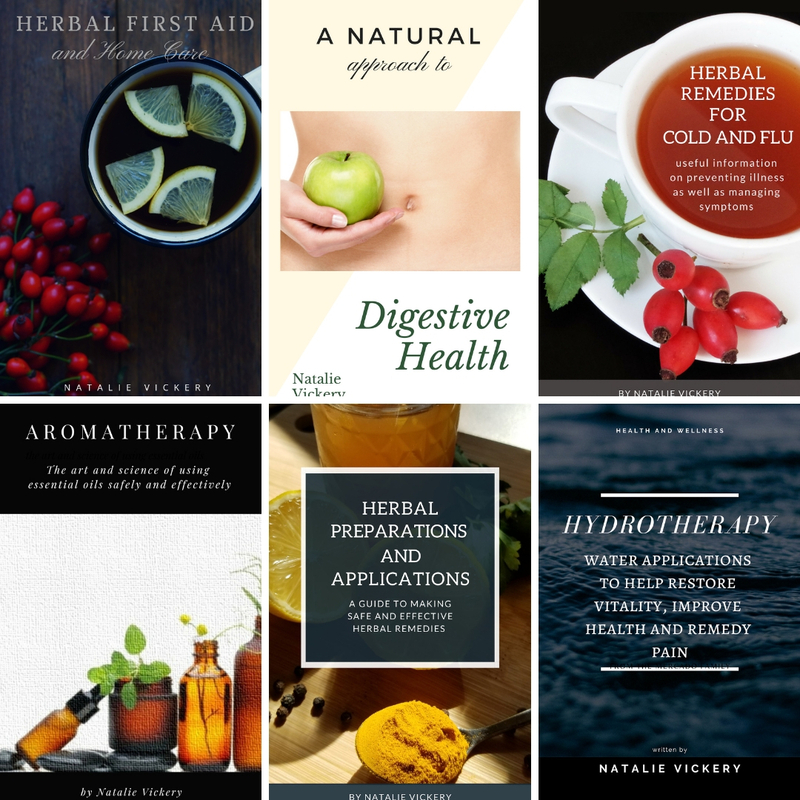 Herbs not only convey their wonderful aroma and flavor, but also allow us the opportunity to incorporate their medicinal virtues into our daily lives. Although, the quantity of the herbs we use in cooking are usually not enough to be considered for over coming chronic illnesses, their daily use is certainly beneficial for maintaining or improving overall health and preventing more chronic illnesses from arising. I absolutely love spring because it ushers in new beginnings. Fresh and vibrant plants which lay dormant all winter are now poking their little heads up to feel the warm air and greet the sun. 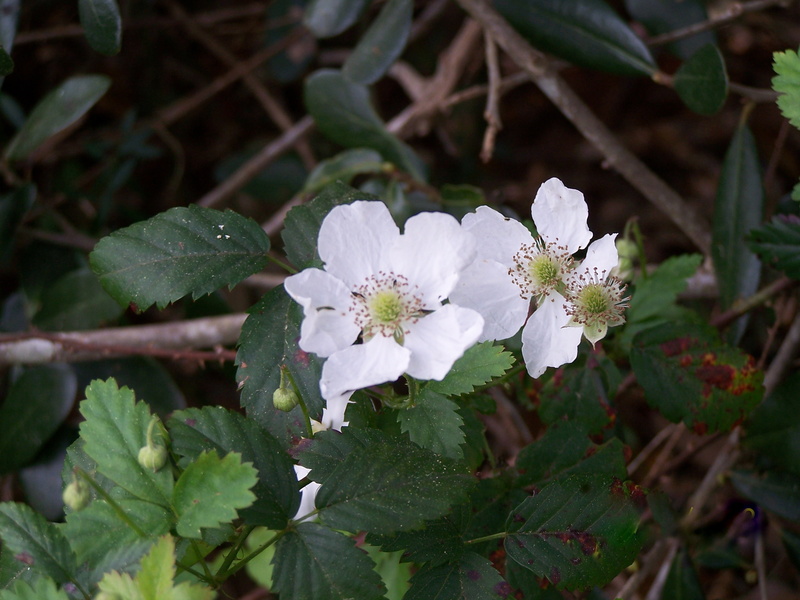 This is about the time of the year when our Southern Dewberries (Rubus trivialis) start to bloom. The berries won’t come in until sometime in late April or early May, but the blossoms are just a reminder that soon we will be gorging ourselves on their juicy ripe berries. The Dewberry is often confused with the Blackberry as they look quite similar. However, Dewberries fruit earlier and grow close to the ground like a vine, while the Blackberry grows on upright stems or canes. Regret, Forgiveness, Balance and Chocolate. Au contraire…Herbalists are human too. If you look at many of the eclectics and root doctors of the past they began studying about herbs and natural therapeutics because of health problems they were unable to overcome through conventional means. Being healthy is about finding balance in all aspects of our lives. Anything taken to an extreme can lead to disease and on the same note, any area where we are deficient can also lead to disease. 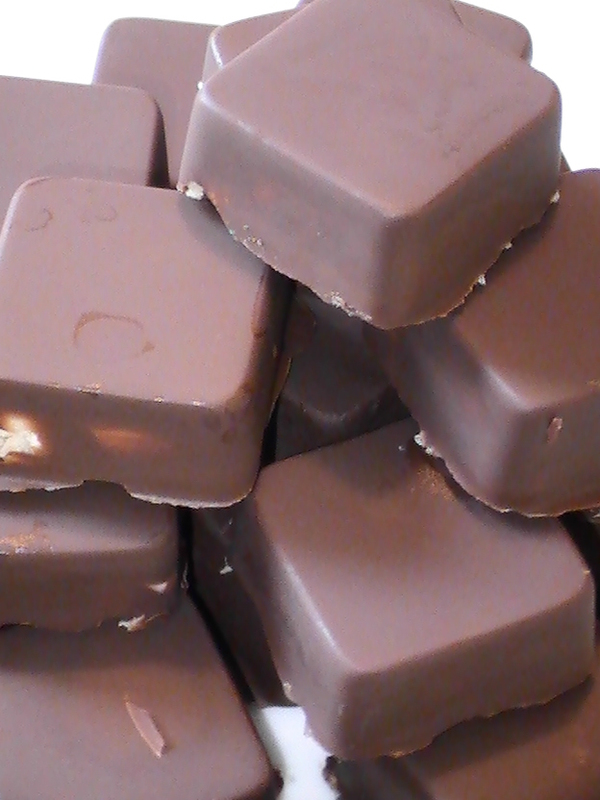 Just because we choose to make healthy changes in our lives doesn’t mean that we as Herbalists don’t have our weak moments; Do we regret these moments…some; Do we forgive ourselves….mostly….Do we continue to seek out balance in our lives….most certainly; Do we like chocolate…you bet your astragalus we do. 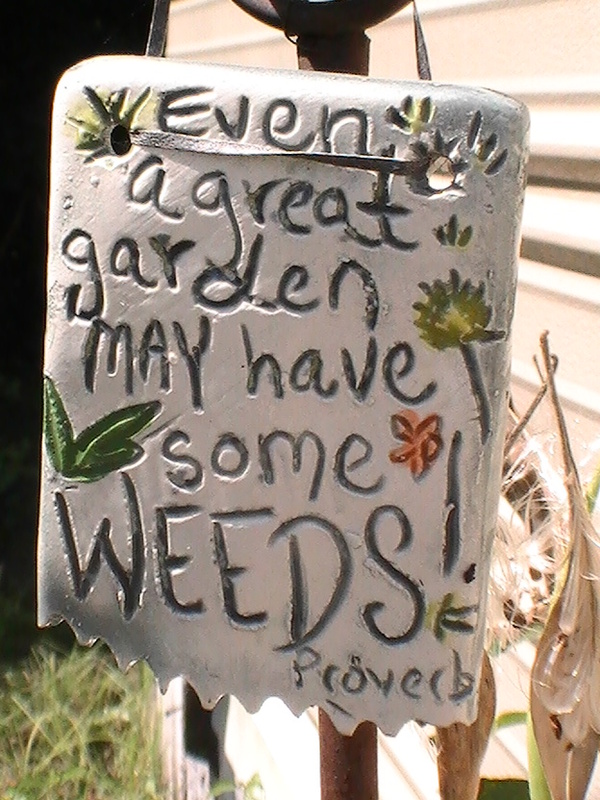 I am an avid gardener and find that being in the garden really helps me to relax. There is a great sense of satisfaction that I get from growing my own food and medicine. We often sit at the table marveling over the fact that….”Wow…we grew this”. I guess you could say it doesn’t take much to impress us. There are a lot of wonderfully exotic herbs out there that are used medicinally and I have no aversion to using them. However, there are also plants that can be easily grown in your garden and are truly magical and healing. Many of these plants you may find in your spice cabinet and you may already be adding them to your food. If you are just starting out with herbs I think it is so beneficial to attempt to grow some herbs so that you can observe them, taste them, use them as medicine and get a real feel for the plant. Some really great herbs to start with are some of the culinary herbs that you find in the grocery store such as Thyme, Basil, Bay, Oregano, Mints, and Rosemary. All of the herbs can be grown either in the garden or in containers if you are limited on space. Depending on where you are located some other herbs which are easy to grow include Aloe, Chamomile and Calendula. If you are interested in growing your own medicinal garden check out local resources to see what will grow in your area. Most culinary herbs we use are very Aromatic. Aromatic herbs are warming and dispersive which means they spread out through the system, warm things up and get things moving. If you think about the feeling or effect you get when you inhale the fragrance from an aromatic plant it opens up your head and your respiratory system; that is the effect of dispersive and this effect occurs throughout the body as well. The movement provided by aromatics increases digestion and peristalsis along with relieving the pain associated with cramps. Because aromatics alleviate this resistance thereby reducing pain they are often referred to as Antispasmodics. By reducing tension or resistance aromatics are also considered to be tonics for the nervous system and relaxing nervines. Most aromatics are also antimicrobials meaning they are effective for a host of infections due to bacteria, viruses and fungi. Most culinary herbs are also carminatives. Carminatives are aromatic herbs which help to improve digestion, relieve gas, bloating and cramping. 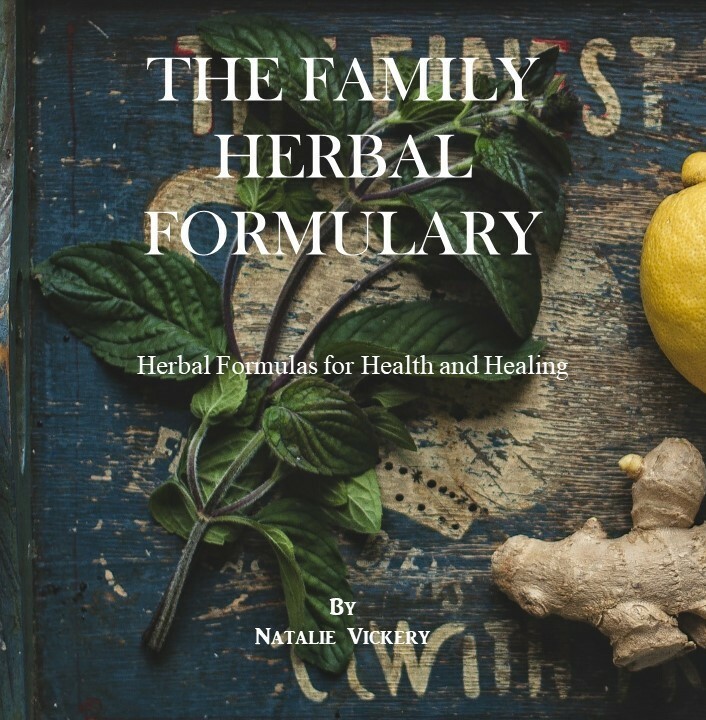 Many carminative herbs contain volatile oils which help to disperse or create movement freeing up any stagnation that has occurred therefore allowing the body to begin its healing. An herb used for centuries in both culinary and medicinal applications, Basil is said to be both cooling and heating in its actions. Traditionally, it has been used in instances of melancholy (depression), indigestion, and for insomnia related to nervous tension. Basil is also used for conditions ranging from colds, fevers, kidney and lung troubles. Make a tea using basil for headaches, indigestion, fevers, colds, flu, menstrual cramps, nausea, and vomiting. Apply as a poultice for bacterial infections and burns. Crush leaves and apply the juice topically to help with the itch of insect bites and inflammation of the skin. Use as a steam for head colds. Mix the juice of the leaves with honey for coughs. Many people know about adding Bay leaves to their foods while cooking. However, many people may not know that Bay is not just added to food to impart its flavor to the dish. Bay leaves help to prevent gas and indigestion and were originally added to food as an aid to digestion. Heat bay leaves in oil on low heat for several hours. Strain off the oil and apply the oil to swellings, sprains, or achy, arthritic or rheumatic joints. Cayenne is an herb which is high in Vitamin K making it a natural blood coagulant. With this said it can staunch the bleeding from an open wound almost immediately by just applying it topically. Cayenne is also a wonderful digestive aid which enhances the metabolism as well as increasing circulation. Add one ounce of Cayenne to one quart of rubbing alcohol and shake well. Allow the mixture to sit for 2 – 3 weeks. Apply this liniment to affected joints. CAUTIONS: Do not get Cayenne in the eyes. Be especially careful if you wear contacts. Traditionally used for colic and gas, Dill is a great herb to grow in your medicinal garden. Dill is an annual and will self seed itself. Another use for Dill is that it may help stimulate milk in lactating mothers. Ginger has warming, stimulating, and antispasmodic properties. It is used frequently for stomach cramps, colds, poor circulation, motion and morning sickness. 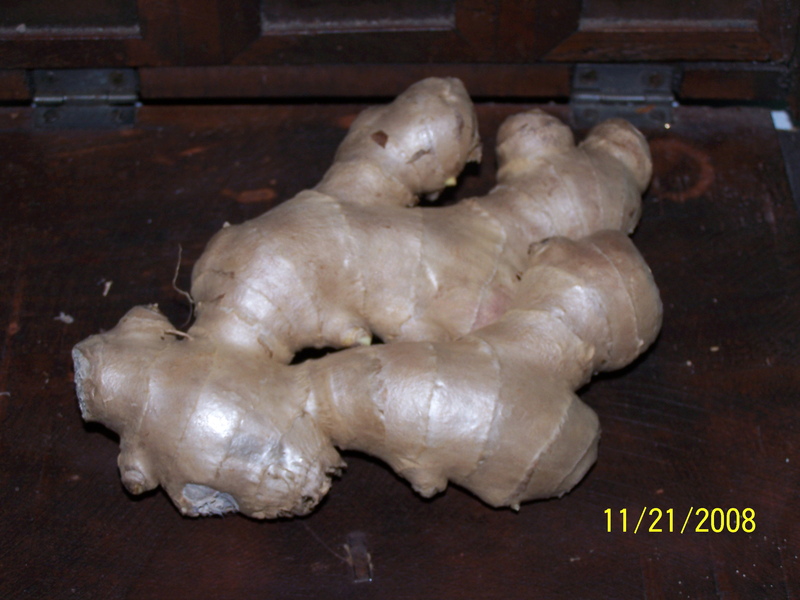 Ginger is also a wonderful herb for menstrual irregularities and discomfort and helps to promote circulation. Ginger can help to relax the smooth muscles thereby helping to alleviate menstrual cramps. Because of its calming action Oregano is a wonderful herb to help reduce tension and nervousness. Oregano as a tea is also very beneficial for digestion, improving appetite, to relieve flatulence and bloating. When the leaves of the Oregano plant are crushed they can be applied topically to help ease rheumatic, muscle and joint pain, itching, swelling, and to ease the sting of a bee. Parsley is an outstanding herbal diuretic and may benefit those suffering from bladder and kidney problems. Also high in vitamins and minerals, Parsley is a good herb for the immune system. Eaten or drunk as a tea, Parsley is a great herb to have on hand for stomach cramps associated with gas. Peppermint is another herb that is great to have on hand in the kitchen as a digestive aid. Not only is Peppermint great for nausea and flatulence but it can help to ease the stomach cramps associated with colic. Nausea – Steep 1 tbsp of mint leaves in 1 pint of boiling water for 20 minutes. Allow to cool and sip on the tea as needed. A potent antiseptic, antioxidant, and antispasmodic useful in treating circulatory conditions, eczema, rheumatism, stiff muscles, Alzheimer’s, cancer, indigestion, and irritable bowel syndrome. Sage is a handy herb to have on hand during cold and flu season. A tea made with sage and used as a gargle can benefit someone with a sore throat. 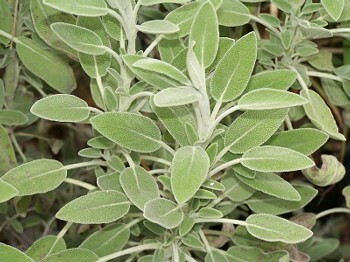 There is some research indicating that sage may help to reduce blood sugar levels and therefore benefit those with diabetes. This very aromatic herb can be used internally or externally and is a very powerful antimicrobial herb. Because of it’s highly aromatic essential oils Thyme can be quite beneficial for treating respiratory troubles such as asthma, coughs, infections and allergies. Thyme also contains strong antifungal properties which make it useful for treating nail fungus, athlete’s foot, and yeast infections. Place 3-4 tablespoons of dried Thyme in a pot along with a pint of water. Bring herbs and water to a boil, remove from heat and allow to cool. Mix the infusion with 1 cup of honey. Use 1 tsp as needed for coughs. Keep refrigerated. We’ve all heard the saying…”an Apple a Day keeps the doctor away”…right. The reason behind that may be that apples contain a host of vitamins and minerals, are a good source of dietary fiber as well as vitamin C. There is also research to indicate that apples may help prevent a host of diseases ranging from diabetes to cancer. 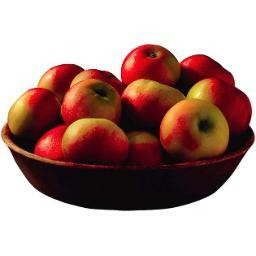 With this said we have to ask ourselves… is an apple food or is it medicine? Actually, I see them as one in the same, food is medicine. What about Garlic? We all know that Garlic is wonderful to cook with, but it also contains a host of nutrients as well as other constituents which benefit the cardiovascular system, are antimicrobial, may help to prevent cancer and improve metabolism of iron. Culinary herbs and spices added to foods not only help to improve the taste of dishes, but also allow us to incorporate their numerous medicinal benefits to all of our meals. Cinnamon, fennel, rosemary, thyme or most any culinary herb you can think of has been used as both food and medicine since the beginning of time. I’ve always had a passion for cooking and as a herbalist I try to get the most out of every meal by adding foods that I know to be healing as well as incorporating as many herbs and spices to my dishes as I can. 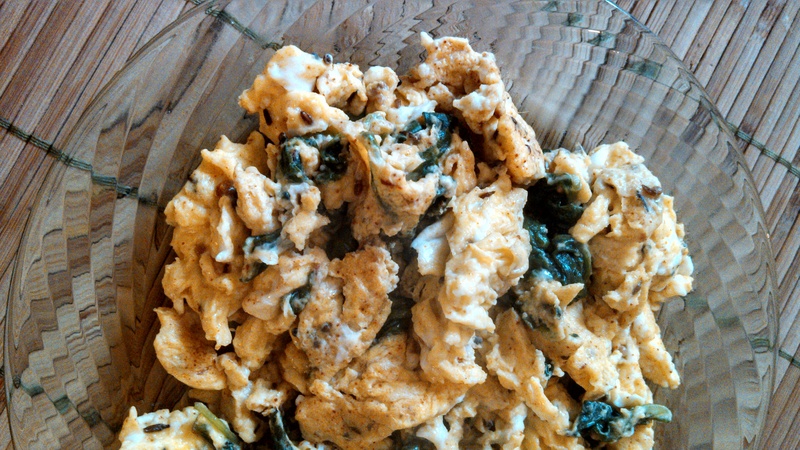 Sometimes it can be really challenging coming up with new recipes that are both tasty and healthy. Fortunately, I just found out about a class that John Gallagher at Learningherbs.com is hosting on Culinary Herbalism . The class will be given by K.P. Khalsa who has over 30 years of experience as a herbalist, is the President of the American Herbalists Guild and the author of several books on natural health. K.P. Khalsa is presenting this class to teach people how to use herbs as food and to use food as medicine. This class will also include various meal preparations using therapeutic herbs, over 19 recipes, and lots of information on using herbs to improve and benefit various health conditions. One thing I really like about this class is that it is a self paced so you can do it online and at your own pace. John at Learningherbs.com does such a great job on hosting these events and they are definitely an organization worth supporting. I’m looking forward to the class and hope you will check it out to see what you think. Just go to CulinaryHerbalism.com and John has posted a video about the course and more information on K.P. Khalsa. John is really great at giving away free information and has posted several recipes that will be included in the class. This class opens tomorrow April 19th and will only be offered through April 23rd so the sooner you get registered the better.